Pleasant Holidays Vacations offers unique Hawaiian tours, vacation packages and site seeing opportunities such as sea life park, Polynesian cultural center, volcanoes national parks, pacific whale foundation, and hundreds of other exciting tourist attractions. Travel to Hawaii and experience the Pleasant Hawaiian Holiday Vacation. 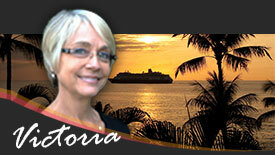 Call one of our Pleasant Hawaii Experts. If you are waiting for an experience full of magic, Mexico is the perfect excuse for your next vacation. Get your senses ready for a journey full of wonder, color and warmth. Again and again, Mexico will surprise you with new experiences: a different flavor, a new adventure, a spot waiting for centuries to enchant you. From Acapulco, Cancun, Cozumel, Mazatlan, Cabo San Lucas, Ixtapa, Puerto Vallarta and more, Pleasant Holidays Mexico offers pristine destinations for you to indulge in the ultimate travel experience! Come and fall in love with Mexico! In the Caribbean, you can hike through national parks and scuba dive along underwater mountains. But perhaps your idea of the perfect island vacation is to plunk yourself down on the sands with a frosted drink in hand. Whether you want a veranda with a view of the sea or a plantation house set in a field of sugar cane, All-Travel will help you choose the Pleasant Caribbean Vacation that best suits your needs. We found 1 All-Travel Exclusive Deals for Pleasant Holidays!